Fresh air is a very precious commodity. 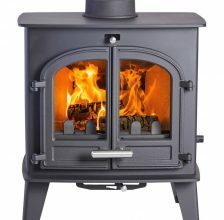 Approved under the Clean Air Act, Cleanburn stoves feature technology to keep carbon emissions at a record-breaking low. And it’s not just the environment you’re saving. You could also save a bundle on fuel. 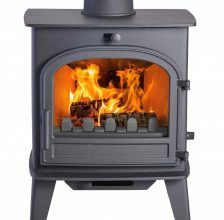 Efficiency levels on these stoves range from 73.4% to 78.9% – which adds up to smaller fuel bills. A bundle of logs or smokeless fuel will provide more warmth, for longer, than it would in an alternative stove. Check the dimensions to see if your favourite stove will fit into the space you have in mind. Next, select your model – the Løvenholm, Nørreskoven and Sønderskoven all come in Traditional, Pedestal or European styles. 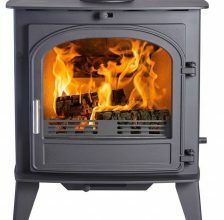 Traditional is the classic-look stove with short legs; Pedestal is mounted on a column; and the European style features a built-in log store. Now, specify whether you’d like a single or double door. Your stove is built to order at our assembly line in Devon. 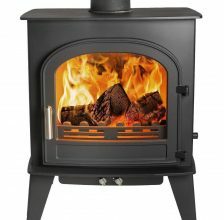 We look forward to delivering your Cleanburn stove! With all our units it is safe to install with a clearance of 2″ (50mm) either side, behind and above the stove to NON Combustible material. 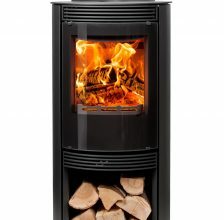 However for optimum performance and heat output we recommend a clearance of 6″ (150mm). To enable adjustment of the tertiary air inlet we recommend a clearance of 4″ (100mm) behind the stove. For all our units the hearth should extend 300mm in front of the appliance (from the door opening) All of these clearance specifications are for non combustible materials.